We've made it to the end! For now that is. While Wreck It-Ralph will eventually make it's way to our entertainment systems, currently Winnie the Pooh is the last movie in the lineup to be available on DVD. And so we end our year long journey by going back to the hundred acre woods for a short, sweet little film with some of our favorite characters from one of the earlier movies. 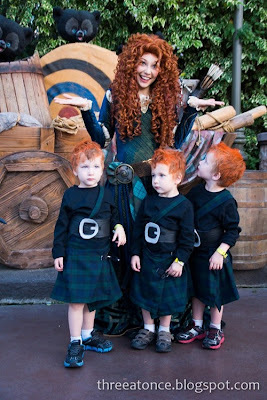 Disney Magic #52: This Episode is Called Tangled so That Boys Will Listen to it. If this isn't the cutest thing you've seen all day maybe you should take a break from the kitten cam. Source! 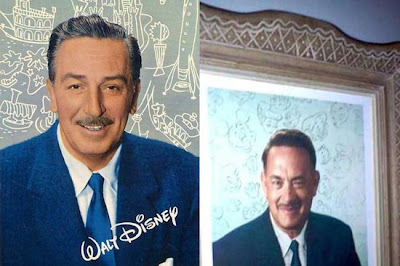 Just a peek at Tom Hanks as Walt Disney for Saving Mr.Banks! There's also apparently been vintage cast members and banners out front of Sleeping Beauty's castle at Disneyland for filming! Celebrate the Magic is a new projection show at Disney World! 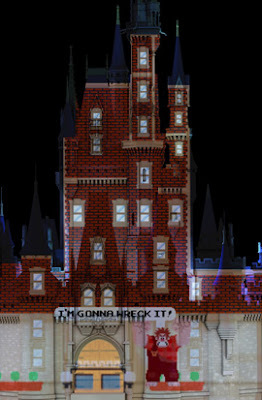 Thus far my favorite concept I've seen for it is this, from Wreck-it Ralph, but there's a few more over here if you're curious! After action movies, space movies, adventure movies, Disney returns to what it does best with The Princess and the Frog, a fairy tale story with a Disney Magic touch. Wonderful songs that make us remember how much we missed Disney musicals. And set in New Orleans, with some of the most interesting, accurate, well researched background information to bring the story to live. Friend of the podcast Scott Nicholson, (who was on an episode a while back which you can listen to here) recently had the great pleasure of attending the world premere of Disney's newest movie Wreck-It Ralph. While I'm sure that most of you join us in our bitter jealousy of Scott, a very small conciliation prize is a couple of the pictures that Scott took at the premiere. So enjoy the pictures below for some of the cool activities and exhibits that Disney pulled out for their premiere party. You can also follow Scott on his personal blog, found here. 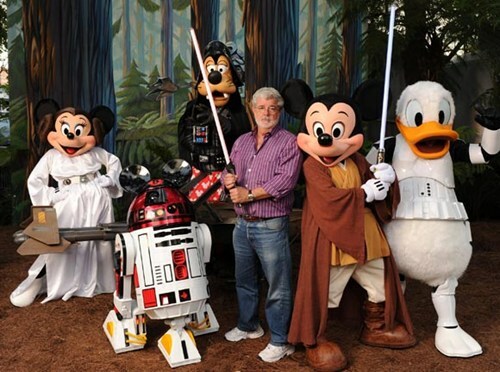 So unless you've been living under a rock the past few days, you probably already know that Disney bought Lucasfilms earlier this week. But really any excuse to use this picture. More info here! The Epic Mickey sequel is going to have multiple endings! Supposedly your decisions will affect which one you get, and there are more than 20 endings. More info here! 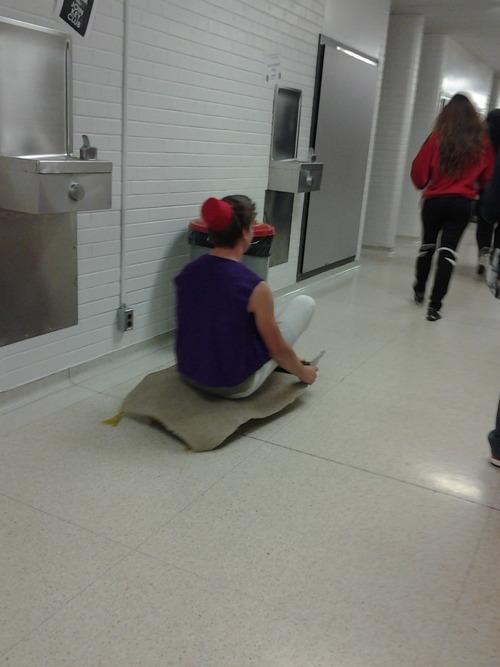 Four for you random Aladdin. 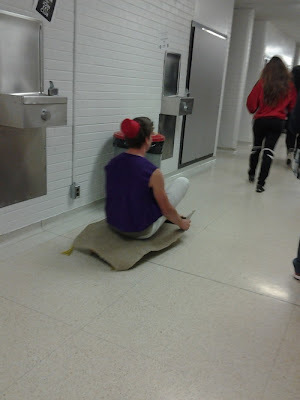 You go random Aladdin. From tumblr. Why yes, that is Jane Lynch dressed up as Calhoun, her character from Wreck-it Ralph. Too awesome. For this week's movie, we view Bolt, the Disney action movie staring the voices of John Travolta and Miley Cyrus. Featuring a Dog that think's he's a superhero, a hamster who agrees with him, a cat, forced along for the ride, and all the pigeons that you could ever want in a movie. Correction: The girl from Oliver and Company is actually named Jenny, not Penny.